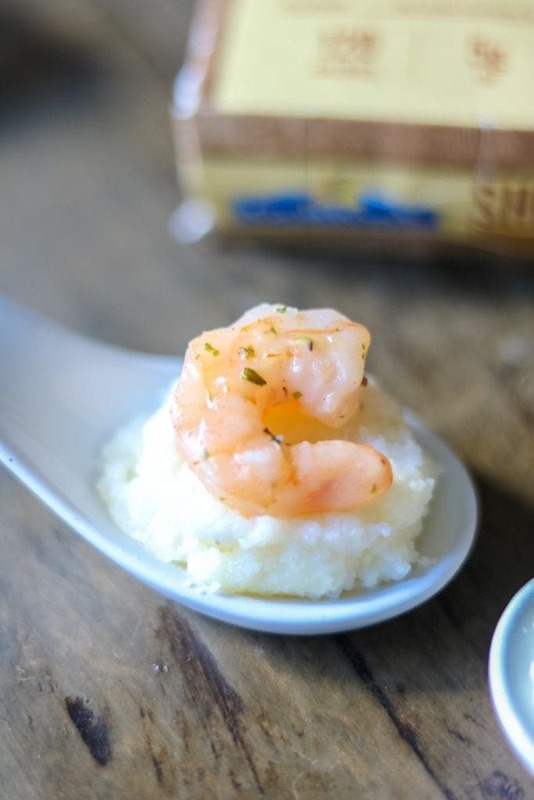 Mini Shrimp and Grits Appetizer Bites: These quick and easy shrimp and grits appetizer recipe will wow your party guests! 12 years ago, I moved to the south. It was then that it became abudantly clear to me that Shrimp and Grits were a way of life in the south. At this point in my life, I had never had southern classics like Shrimp and Grits, Jambalya, or coleslaw on my barbeque pork. My first experience with Shrimp and Grits came when my family and I were vacationing on Jekyll Island during their Shrimp and Grits festival. Clearly I had to try every sample that was given to me. And a few things about Shrimp and Grits became clear to me on that day. Cheese is NOT optional in grits–at least not in my opinion. It is imperative to NOT overcook the shrimp–I had a few pieces that were way over cooked hence very rubbery. It is really hard to eat shrimp and grits while pushing a stroller and chasing after a toddler. I decided to combine those 3 key things to create the BEST Shrimp and Grits Recipe I could. 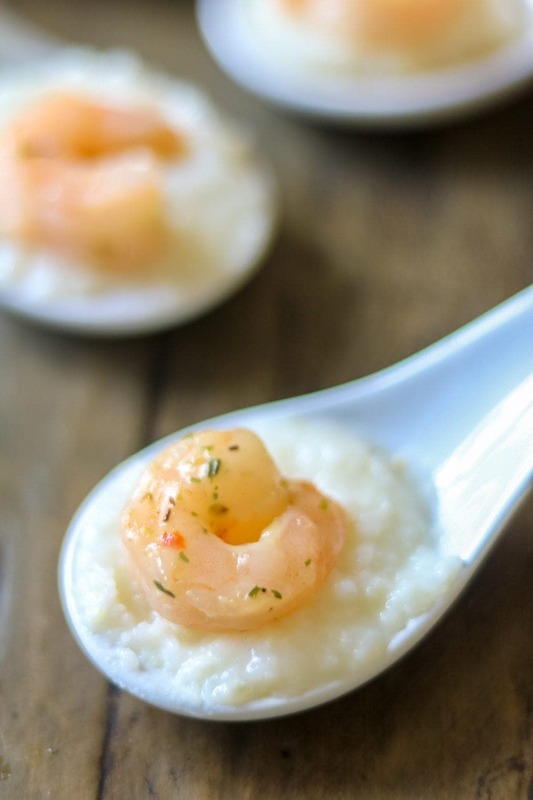 A perfectly cooked piece of garlic shrimp is placed upon creamy, cheesy grits all nestled on an appetizer serving spoon or in a baked phyllo cup. Making this hand-held appetizer recipe perfect for eating while chasing toddlers, pushing stroller, or maybe more realistically socializing at a holiday party? You will look like a rock star with these elegant Shrimp Party Bites at your next party. By starting with Gorton’s Shrimp Scampi, you are able to ensure your shrimp have incredible flavor, as Gorton’s Shrimp is infused with garlic butter. Not to mention the shrimp cooks perfectly in a matter of minutes, making this holiday appetizer recipe one that any host can easily make! To really WOW your holiday guests, serve Mini Shrimp and Grits Bites in Phyllo Cups, for a quick grab and go option or on appetizer spoons for a gluten-free option for your guests. Do not skimp on the butter or cheese in your grits–afterall, this is a holiday appetizer and without that added flavor, the grits can be quite bland. 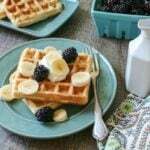 These bites are best assembled right before serving. If you must make in advance, make the grits and then rewarm with a bit more milk or stock to loosen up. Reheat the shrimp by placing on a single layer in a microwave safe bowl and splashing with a bit of water and cover with a lid or plastic wrap. Cook for 1-2 minutes on high in microwave. To keep this Gluten-Free, be sure to use gluten-free certified grits and gluten-free chicken stock. To complete your Holiday Party menu, serve up additonal hand-help appetizers like Sauerkraut Balls, Sausage Cups, and Pad Thai Egg Rolls. 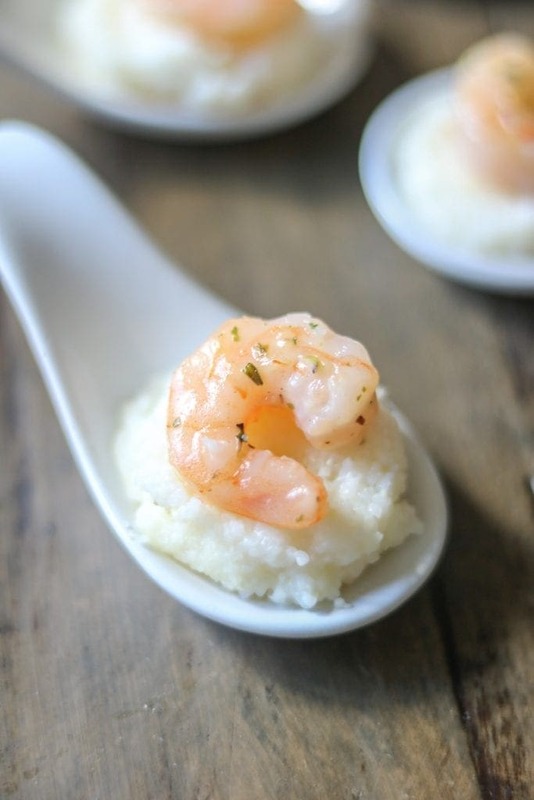 Cheesy grits serve as the base for garlic-butter infused shrimp, creating the pefect mini appetizer. Arrange shrimp in a single layer in skillet. Cook over medium heat for 6-10 minutes, stirring frequently or until shrimp begin to curl up and reach an internal temperature of 165 degrees. This is genius for an appetizer. You sure know the way to a southern gal’s heart! Oh those look fantastic! I would eat a dozen right now. It would be easy to down a dozen for sure Jocelyn! I love how creative this is! I’ll be serving these at my next party! YAY!!! 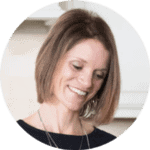 Your guests will love these Jen! I’ll be winning hostess of the year when my guests see these bites! Who doesn’t love shrimp and grits?! <3 Especially in the south? It is a must have! This is such a great party appetizer! Love the presentation! Thanks Erin! These are fun for a party for sure! I love the way is so easy and so festive! 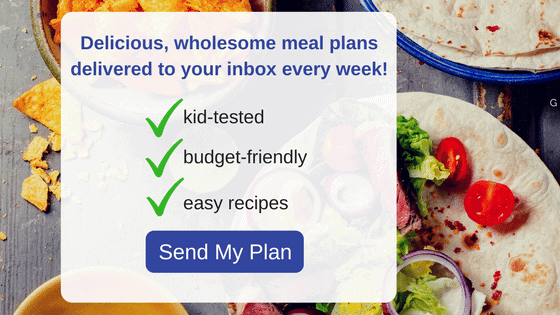 Easy for the win, especially this busy time of year! These little bites will disappear fast here! So delicious! I could eat enough of these to make it a meal!